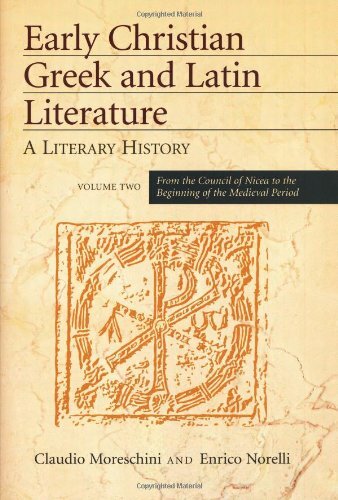 Available for the first time in English, "Early Christian Greek and Latin Literature" highlights the special character of the gospel message, the nucleus of every Christian literary form. The earliest Christian works from the first through the fourth centuries are presented along with respected contemporary writings in the first volume. The second volume moves to the Golden Age of Christian literature. The major personalities of the time-Ambrose, Jerome, Augustine, all writers of the highest rank-are matched with Greek-speaking authors such as Athanasius, the Cappadocians, and John Chrysostom, thinkers to whom present-day Christians turn once again for spiritual direction.